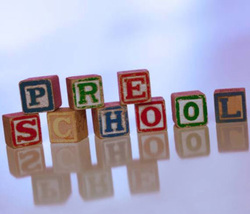 Preschool Religious Education Classes are held during the 8:45 a.m. Mass at Holy Cross. Preschool Religious Education classes are held during the 10:30 a.m. Mass at Sts. Peter & Paul. Child must be 3 years old by August 1, 2018 to attend preschool class. Please contact Laura Goedde, CRE at lgoedde@evdio.org or 812-768-6457 to enroll.